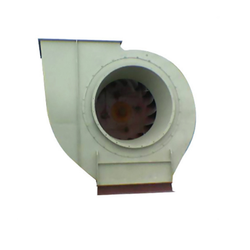 We are Manufacturer & Exporter of PVC FRP Blowers & PP impellers. Our product range also comprises of Fume Hoods, Industrial Filters and Plastic Products. These products have most demand in market. These products are made from high quality raw material. These products have long life and best in industry. The indirectly driven Exhaust fan will have imported NTN self-aligning sleeve bearing in plumber block, V-belt driven with pulleys mounted on M.S Stand, with the corrosion-resistance coating. PP Moulded impellers are available in various sizes 10” 121/2” 15” 17” & 24”. Sizes: 10” 121/2” 15” 17” & 24”. These PP Hood, Ducts with Blower & Chimney are made using pure quality PVC, PVDF and FRP materials and highly used by our clients. These are used in different applications like pharmaceutical and chemical industries. These are known for their features like highly durable, different shapes and sizes, energy-efficient, customized from, long service life.